My new book-SPLIT!-released this week. 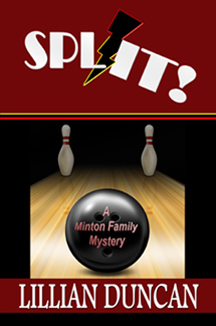 The book features the Minton family and their bowling center. I love the characters in this book. Yes, I know that I say that with every book I write. I only say it because it’s true! So bowling and a mystery? That’s definitely not the usual setting for a mystery or suspense story. Almost fifteen years ago, I got married. To a bowler! Now if you don’t have a close association with a bowler, you may not know what that means. For me, it meant I started to bowling. I am not a natural athlete–at all! And in fact when I started bowling on a league with my husband, my family found it quite amusing. Almost fifteen years later, I’m still not a good bowler. OK, I’m pretty bad! My average is pretty much the same as it was when I started. But that’s the great thing about bowling. When you bowl on a league, they give you a handicap. Meaning I get extra points because I’m that bad, and that makes me more competitive with the good bowlers. Originally (actually up until a few weeks ago) the story title was 7/10 Split. As I was making the final revisions, I came to understand that the main character’s (MACY) goal was to keep her family together–not SPLIT up. Sometimes life is full of strikes; and sometimes all we get is a split—no matter how well we throw the ball. After seventeen year-old Macy Minton’s parents died, she’s had only one goal—to keep her family together. Along with the family bowling center, she inherited the responsibility of caring for her two younger siblings. Now seven years later everything is falling apart, especially her family. Macy thinks life can’t get any worse, but she’s wrong. As she struggles to keep the bowling alley from closing forever, one tragedy after another threatens to split her family permanently. Convinced someone is intent on destroying her family, she’s determined to stop them. But first she has to find out who’s responsible. So that’s the story behind the story of SPLIT! Thanks, Marilyn. 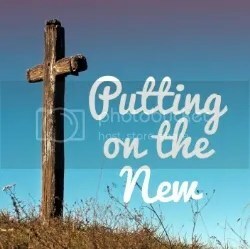 I hope there will be another following soon.